When Alice Forster receives an email from her dead sister she assumes it must be a sick practical joke. Then an invitation arrives to the virtual world of Soul Beach, an idyllic online paradise of sun, sea and sand where Alice can finally talk to her sister again - and discover a new world of friendships, secrets and maybe even love . . . . 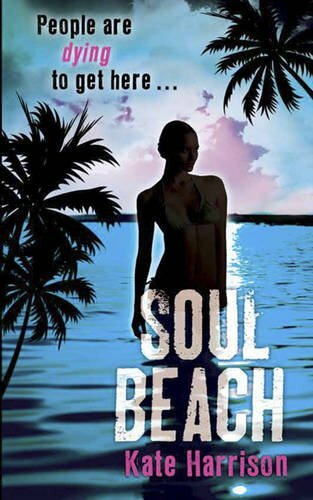 But why is Soul Beach only inhabited by the young, the beautiful and the dead? Who really murdered Megan Forster? And could Alice be next? The first book in an intriguing and compelling trilogy centred around the mystery of Megan Forster's death. 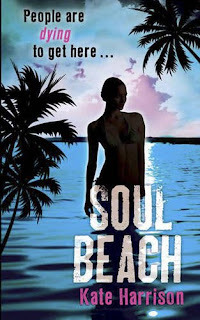 Soul beach is an interesting read and a book that I whizzed through in a matter of hours because it is fast paced, engaging and easy to read. On the day of her sister's funeral Alice receives an email from her sister. Convinced it is some kind of sick joke she ignores it. Later on it is followed up by an invite to The Soul Beach where it is claimed she will be able to interact with her sister again. This grabs the attention of a grieving Alice so she joins up not knowing quite what to expect. Once she enters Soul Beach she is able to talk to both her sister but also other young souls who died with some kind of unfinished business. Alice suddenly becomes obsessed with the time she spends with her sister in this way and starts to spend more and more time at the beach. I thought this was an interesting idea and I loved seeing the relationship between the sisters. As the book progresses three plot strands come out. The first is that Alice starts to develop relationships with people at the Soul Beach other than her sister and begins interacting with them on the site. The first is Danny a former American Rich Kid with whom she clicks with instantly. She also notices how unhappy another one of her sister's friends are in what should be paradise and begins to research her death in more detail in order to help her deal with the situation she is now in. Finally Alice starts to investigate in more detail her sister's death contacting the main suspect in her murder case, her sister's boyfriend Tim. The ending of the book leaves most of the plot strands wide open and is possibly one of the most frustrating endings I have come across in a while as all these good ideas have been built up but there is not yet any sign of a resolution. I am now desperate for book two to come out to give me a few more answers to some of the questions I now have floating around my head. interesting review, you have made me even more intrigued about this book! I cant wait to get hold of it! I am so looking forward to this book! I've only heard good things about it so far and pretty excited about it.